Ladybird books have sustained several generations of young readers. Now that most of those readers are adults, they have branched out into books aimed at the grown-up market. While many of these have been humorous, Ladybird Experts attempt to explain three serious scientific topics for the lay adult: Evolution, Climate Change and Quantum Mechanics. I teamed up with the chief editors of Nature Climate Change and Nature Physics to review the trilogy. The Ladybird Expert Climate Change has received the most media attention of the three books and it’s the authorship team, or more specifically one particular author that is drawing the attention. 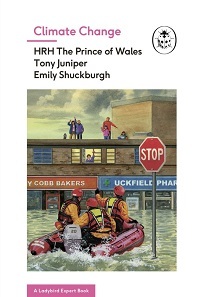 His Royal Highness Prince Charles authors the book (and has the biggest biography listed) along with Tony Juniper, an environmentalist and writer, and Emily Shuckburgh, a climate scientist at the British Antarctic Survey. There is a forenote from Prince Charles which discusses how the book came out of a discussion with a friend after his opening address the 2015 Paris UN Climate meeting, about the lack of a plain English guide to climate change. 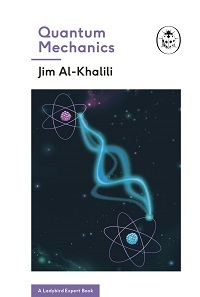 This minor quibble aside, Al-Khalili has presented a very readable introduction to the topic of quantum mechanics. 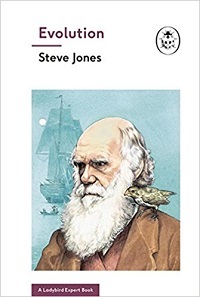 I struggle to imagine what more one could want from a primer on the subject – I may just lend my copy to my friends at Nature Ecology & Evolution!